Southern Loggin’ Times magazine celebrates 500 consecutive issues in May 2014! The issue takes a look back at the publication’s history, a look forward at young loggers poised to be the leaders of tomorrow, and highlights some of the industry’s most accomplished logging veterans. Also featured are departed but remembered industry leaders, SLT supporter submissions, memorable quotes, the best of the Bulletin Board, and a letters archive. Southern Loggin’ Times magazine Managing Editor David Abbott travels to South Boston, Virginia to spend some time with KeJa’eh Enterprises LLC. It’s been only three years since 2011, but in the short time since then Kevin Hodges, 31, has grown his company, KaJ’aeh Enterprises LLC, into one of the biggest producers in his part of the state. Excited about his accomplishments and eager to accomplish more, one thing is for certain: Hodges is just getting started. “My hobby is logging,” Hodges says. Even a hobby can cause stress, he notes, but says the stress from logging doesn’t bother him. 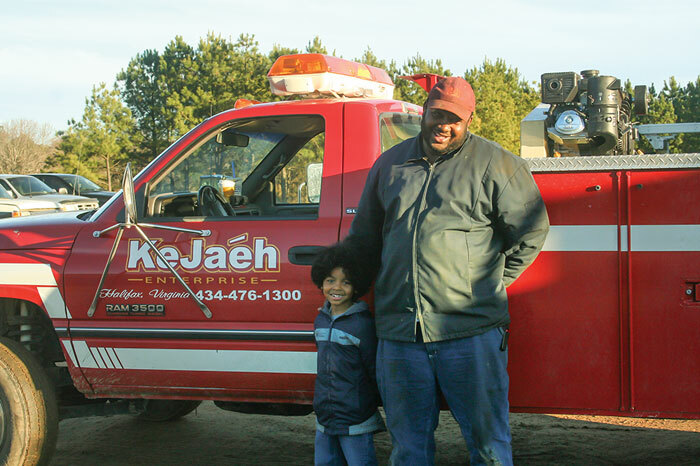 “I just love it that much.” Prior to starting KaJ’aeh in April that year, Hodges had been working for his dad Kenneth Hodges, President of H&M Logging, also in South Boston (Virginia Loggers Assn. Executive Director Jim Mooney wrote a feature article on Kenneth Hodges, which appeared in the May 2006 issue of Southern Loggin’ Times). Southern Loggin’ Times magazine Associate Editor Jessica Johnson has the opportunity to visit Forrest Hodges Operations, Inc. in Forest, Texas. Forrest Hodges is a likeable dude. He’s the kind of guy you want to have a backyard BBQ with and share a few belly laughs. Down to Earth, grateful for what God has blessed him with and most importantly, realistic about logging, Hodges isn’t your typical 25-year-old. 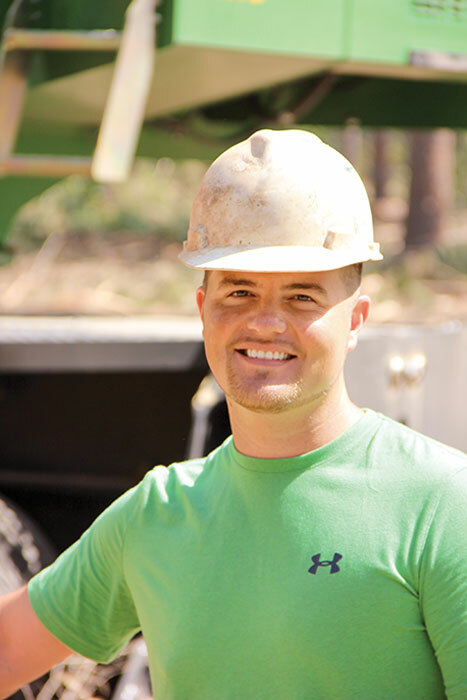 A fifth generation logger, Hodges claims he started out “as a pup” and went out on his own at 19. From there, Forrest Hodges Operations, Inc. was born. He started small with just one piece of equipment after high school and trying his hand at both EMT school and the Fire Academy graduating and then just kept building. 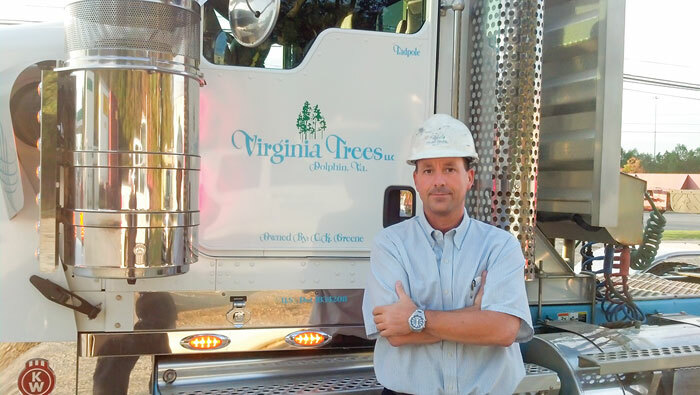 Now, Hodges purchases his own timber, has a contract with Hancock Forest Management, operates six crews, and runs his own trucking business. (An earlier version of this article, written by Chris Brown, appeared in TreeLine, a publication of the North Carolina Forestry Association. It has been updated recently by Southern Loggin’ Times Associate Editor Jay Donnell.) 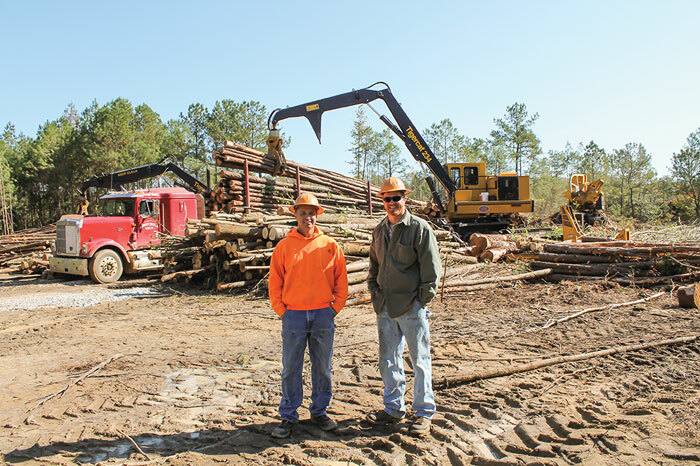 Ten years ago, Ben Twiddy and Wayne Cale decided to leave their district manager positions with Tigercat and create a new logging company, CTW Forest Products. 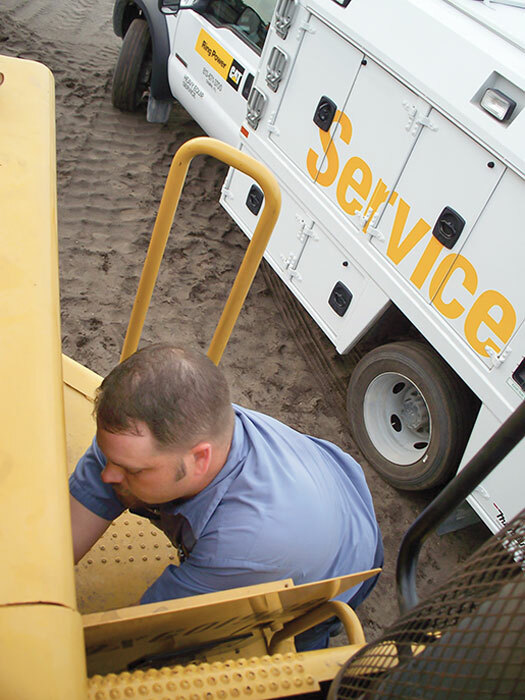 Since then, they’ve shown the ability to make the adjustments necessary to keep their business moving forward. “What we are doing today is absolutely nothing of what we started with almost 10 years ago,” Twiddy states. 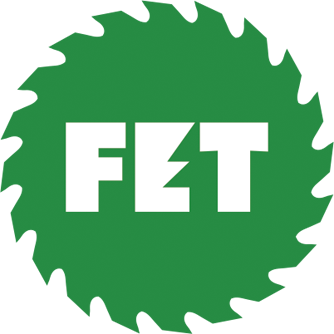 “It has evolved and changed constantly.” Prior to forming CTW Forest Products, Cale had graduated from Pitt Tech Community College as a machinist and then from Central Carolina Community College in Sanford as a tool and die maker. He worked for Albermarle Forest Products in Edenton for six years after graduating from Central in 1990. 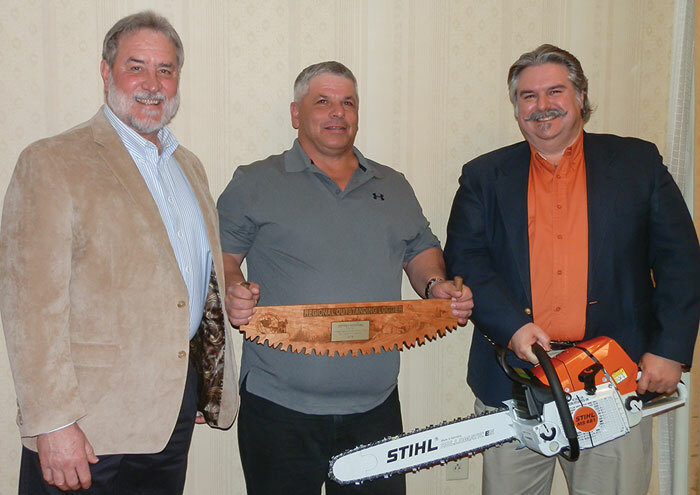 Southern Loggin’ Times magazine Contributing Editor May Donnell highlights some of the Southern logging industry’s veterans as they share their views on longevity for themselves and their companies. New businesses come and go but mostly they go. The old rule of thumb is that 95% will be toast in five years, and while the accuracy of this statistic is debatable, the fact remains that trying to start a business is like trying to start an old truck in a hard freeze. As much as you want it to work, you never really know. There are no guarantees, which is all fine and good, and then there’s logging, which after snake handling, is perhaps the biggest gamble of them all. What separates the take-offs from the crash landings? With that question in mind, SLT contacted dozens of long-time loggers, a few timber buyers and several office managers across the South for this article. To qualify for the unscientific survey, the business had to be at least 40 years old. We asked this simple question: What’s the secret to your success? 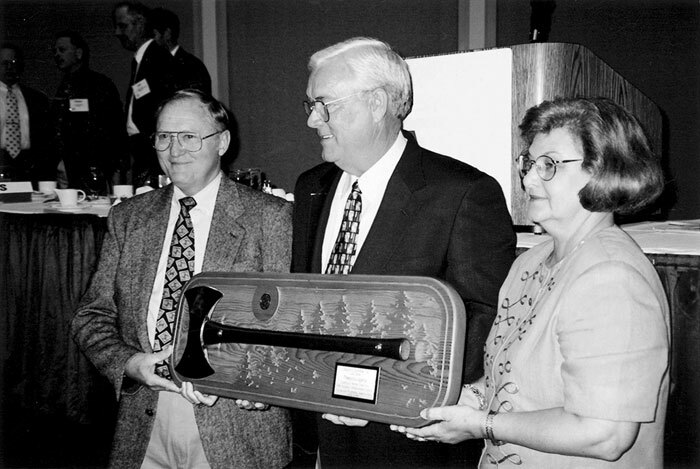 Many forest industry members have passed on since Southern Loggin’ Times magazine was launched and SLT acknowledged the death of several. We would not have known about the passing of many had their family members or friends not notified us. 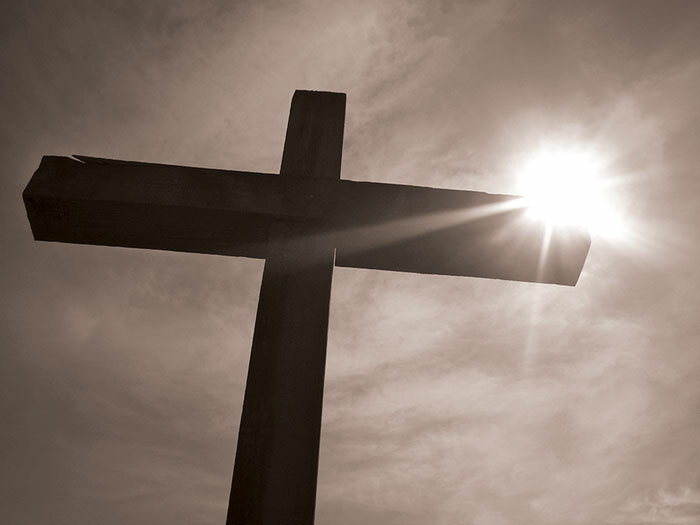 Knowing that we could never assemble a complete list, and that we would unintentionally overlook many, we felt it fitting to assemble and print as many names of the departed as we could, soliciting names from key contacts and otherwise going with what we knew. This article includes many of the departed that some of the SLT staff had the privilege of knowing, working with or otherwise wrote about. Our advertisers make every issue of Southern Loggin’ Times magazine possible, so we invited them to submit an article and a photo for this section. Included are: American Truck Parts, B&G Equipment, Big John Trailers, Caterpillar, Cooper Forestry, Cutting Systems, Inc., Flint Equipment Co., James River Equipment, J.M. Wood Auction, John Deere, Kaufman Trailers, Magnolia Trailers, Inc., Maxi-Load Platform Scales, Nokian Tyres, Pitts Trailers, Power Equipment Co., R Squared Solutions, Ring Power, River Edge Equipment, Tigercat, TimberSure, Viking Trailers, and W&W Truck & Tractor. This article features select quotes from the pages of previous issues of Southern Loggin’ Times. These quotes cover almost all 42 years of the publication’s existence: 1972-2014. This article features past letters from the loyal and grateful readership of Southern Loggin’ Times. We are nothing without our family of readers!